We know from news sources that some children arrive in school aged 5 unable to speak properly or understand what is being said to them by the teacher and the other children. In my experience as a teaching assistant in England, United Kingdom, even the question “How are you?” is met by blank looks from some children. The inability to speak and hold a simple conversation puts children at risk of lifelong difficulties, including employment, social issues and criminality in adult life. 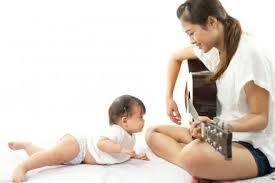 2) Sing to and with your child. interactions from you will encourage your child’s speech and comprehension. the children I work with Twinkle Twinkle Little Star is a firm favorite and I think the lyrics are the main reason for that. Think about the lyrics: ‘Twinkle, twinkle’ - we all know what this means but it’s really hard to explain without using other words that mean the same thing such as ‘glisten’. ‘Little star’ – we learn what a star is and we learn that ‘little’ is opposite to ‘big’. ‘How I wonder what you are.’ - Children learn that ‘wonder’ is a deeper way of thinking that causes them to ask themselves questions. ‘Up above the world so high’ – Children are encouraged to look up and see what is there. ‘Like a diamond in the sky’ – Children learn to compare, and they learn there is something called a diamond. This facile, short nursery rhyme – and others like it – can lead to so many conversations between you and your child and thus give your child so much understanding of the world. 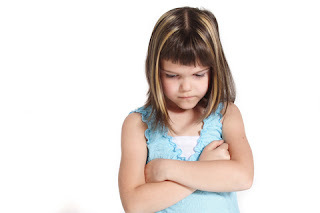 Children unable to communicate often development behavioral problems because of their frustration. In school and out of school, they are disadvantaged. They cannot express their needs, they cannot understand what is being said to them beyond basic sentences, they cannot receive education nor can they function in the workplace. There is a recognized correlation between a lack of communication skills in childhood and experience of the criminal justice system. skills are vital for children’s self-esteem and confidence. can be an additional resource in your child’s development. language skills, or their understanding of speech, visit your family doctor or pediatrician. They will be able to do a basic assessment of your child’s needs and then refer you to a specialist. The treatments vary depending on diagnosis – it may be that your child has a hearing impairment or other developmental difficulty and so will be assessed and given the help they need. The Canadian Audiology is an excellent resource with an easy to use website. Your local community groups will also be able to help and support you and your child with speech and language and any other issue you may encounter. Catherine Hume - 36 is a teaching assistant with over ten years of experience in UK and Belgium. She also has a background working in social care as well as writing factual articles and fiction.